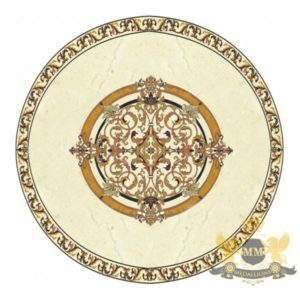 This is a classic example where beauty interrelates with simplicity! 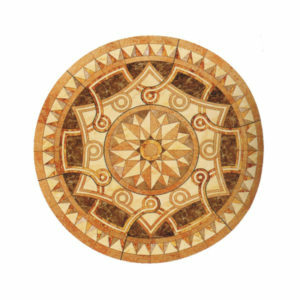 The design of this water-jet medallion is created in such a way so that the host floor receives its entire energy and wonderfulness. 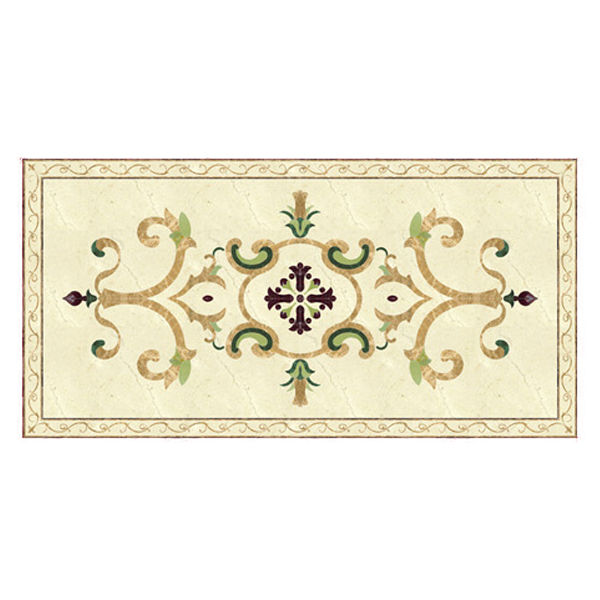 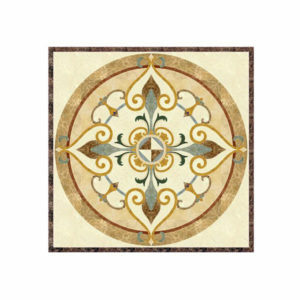 The curved lines together with the predominantly beige color result into a classic mosaic. 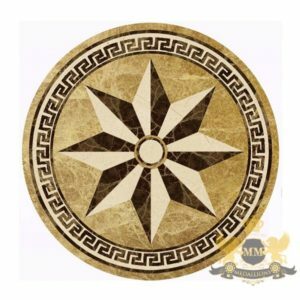 The way in which the lateral elements unfold towards the exterior, underlines the strength that this medallion expresses.